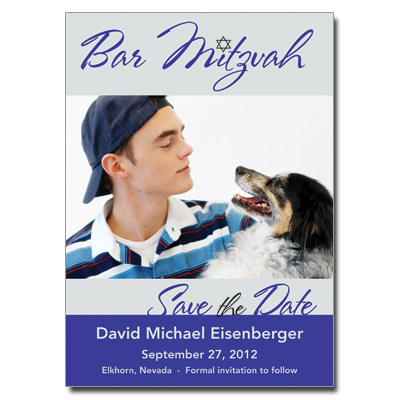 Bright blue and light gray make a striking combination in this save the date card. Your photo is featured in the middle of the design with event text below. Card measures 5x7 and comes with stick-on magnets; light assembly required.